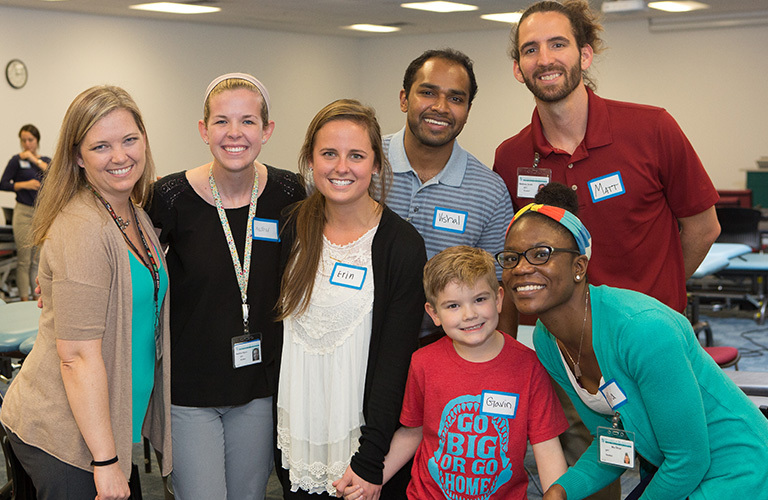 Physical therapists have the opportunity to help people of all ages, including children who have neurologic and orthopedic disabilities. 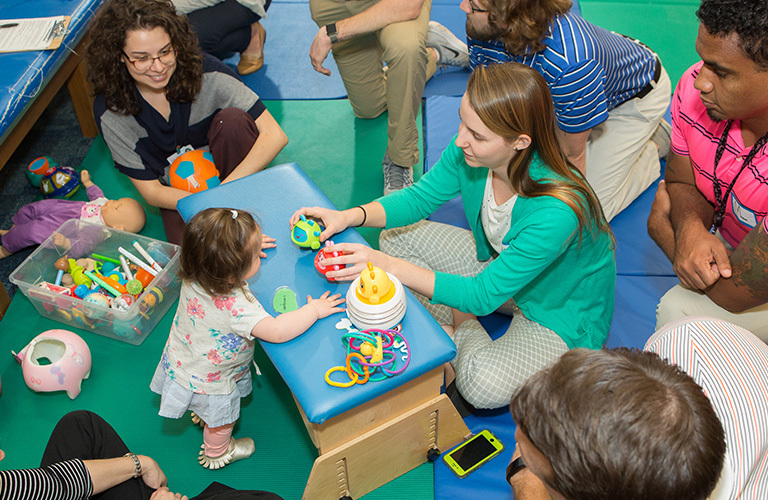 As experts in movement, they help young children and adolescents improve motor development, strength, endurance, and flexibility—all of which enhance how children learn and engage with the world. 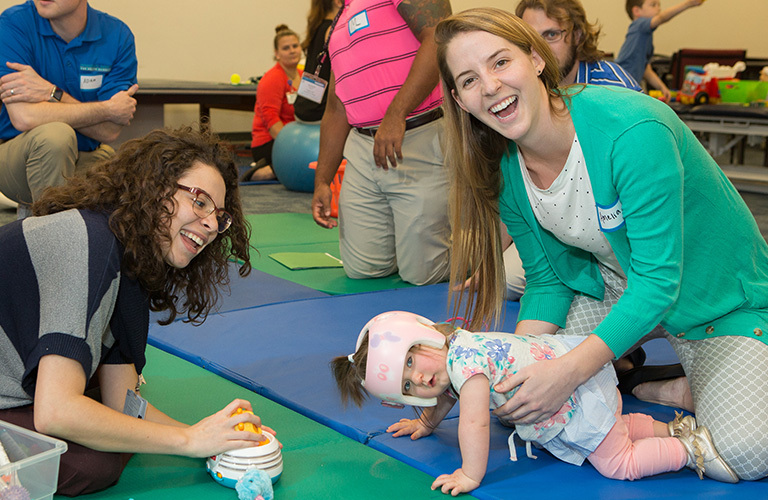 To expose students to this population and help prepare them for practice, faculty member Kate Andrea, PT, MPT, a Board Certified Neurologic Physical Therapy Specialist, and lab assistant Melanie Cohen, PT, DPT, CMPT, invite local parents and their children with disabilities into the Pediatric Physical Therapy class in St. Augustine. Students break into groups to interview parents and work with the children. 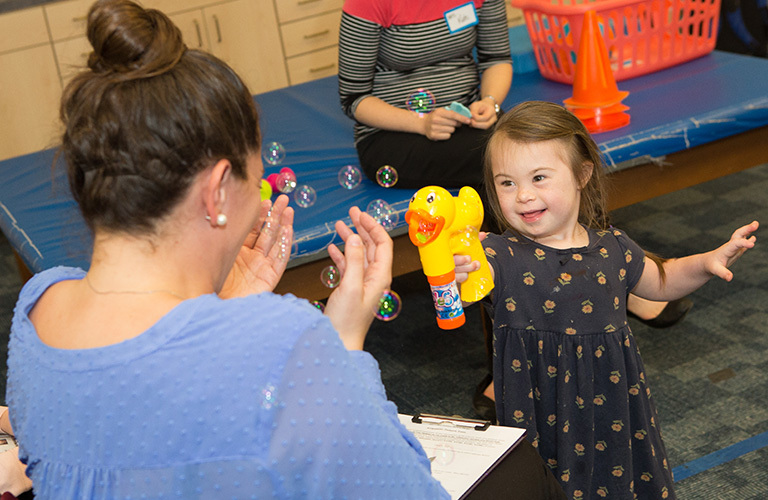 The experience not only allows the students to complete a physical therapy evaluation tailored to the age of the child, but also challenges them with modifying their communication and behavior management techniques, which are unique when working with the pediatric population. Students Brooke Barnes (left) and Ashley Chisholm (right) are getting to know Paityn while asking her mother about family goals and how Paityn is currently functioning. Student Amelia Cowles is learning how to help 1-year old Darby balance on all fours in preparation for crawling. 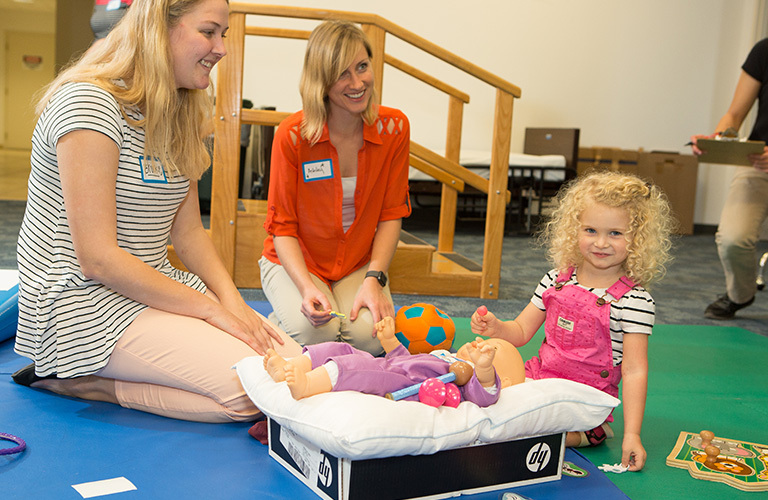 With the guidance of instructor Kate Andrea (bottom left), students encourage 1-year-old Darby to stand while playing. Students taking a moment to pose with Gavin after working on coordination and strengthening activities. Encouraging play during therapy is the key to success. 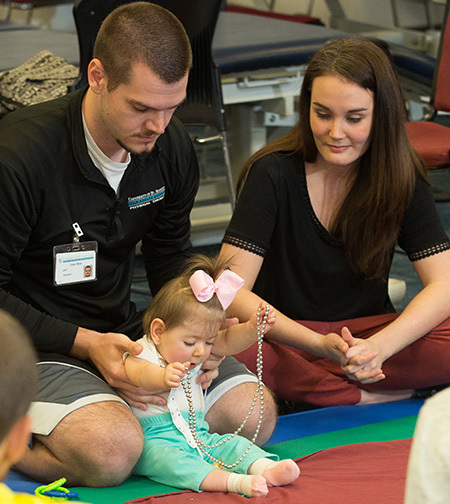 Tyler Wise has a unique perspective as a father of a child with different abilities and a third-term physical therapy student (pictured here with his wife and daughter).